Pears may only be in season once a year, but they'll keep for many months if you store them properly. Just gather up your pears and ensure that you have refrigerator space or a cold storage area, and follow these simple storage instructions. Choose the right pear: Winter pear varieties are best suited to long-term storage. If you intend to store your pears for more than a couple of weeks, choose a winter pear like Anjou, Bosch, Comice or Winter Nelis. Bartlett pears aren't a winter pear, but they can be stored for long periods, too. Keep your pears at the proper temperature: Store your pears at 30 degrees (and at 85-90% humidity), or as close to it as you can get. Any colder than this, and the fruit will be damaged; any warmer, and it'll ripen faster than you want. If you have a spare fridge (or can spare space in your regular fridge), this is the ideal spot to stash your fruit. Bartletts will keep at this temperature for 2 to 3 months, winter pears for 3 to 5 months. 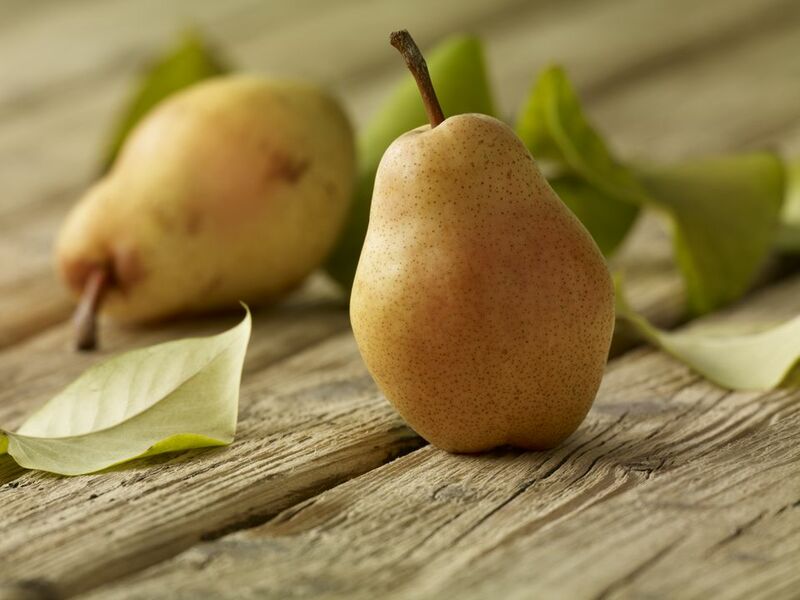 Pears actually need to spend time in cold storage to ripen properly, so give your Bartlett pears at least 1 to 2 days in the fridge and your winter pears 2 to 6 weeks, before you even think about pulling any out. Ripen your pears at room temperature: Once the proper chill time has passed, ripen your pears by taking out as many as you need, and allowing them to sit at room temperature for several days — 4 to 5 days for Bartletts, 5 to 7 days for Bosch and Comice, 7 to 10 days for Anjou. The longer pears have been in cold storage, the faster they'll ripen once they're taken out. Need to speed up the ripening process? Stick your pears in a paper bag with a ripe apple or a banana. Check to see if your pears are ready to eat: Test for ripeness by pressing at the neck of the pear with your thumb. If it gives under the pressure, your pear is ripe and ready for eating. Watch for spoiled pears: Inspect your pears from time to time, and discard any that show signs of deterioration or damage, so they don't spoil the rest of the pears you're storing. Want to make something with your pears now? Try homemade pear butter, pear freezer jam, or pear sauce. All three recipes are simple and delicious. Have ripe pears from the store or farmer's market, and not ready to use them yet? Toss them in the fridge, and they should keep for another 3 to 5 days.